Whether it's before or after Season 6, this house needs to fall. “House of Cards” was built on the backs of three men and carried — beyond its original designs — by one woman. 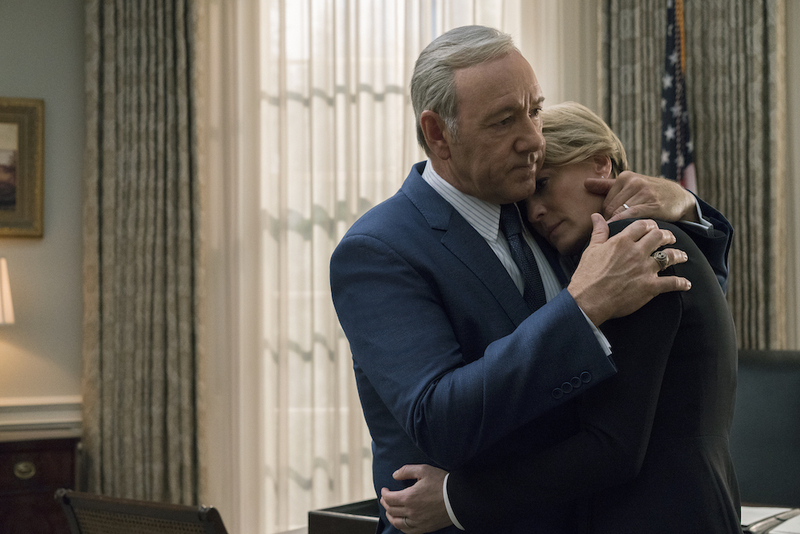 What began as a collaboration between David Fincher and Beau Willimon, starring Kevin Spacey as the power-hungry politico Frank Underwood, soon became “The Robin Wright Show,” as the actress made the most of a character who had more qualms, better plans, and a stronger arc than her husband’s. But even Claire can’t hold “House of Cards” together anymore. Though fans needn’t look beyond a disappointing and dull fifth season for reason to celebrate a fixed ending — Season 6 will be the last — there are reasons beyond a dip in quality to let this story die, and they begin with an actor on the outs, Kevin Spacey. Netflix claims the recent allegations made against Spacey have nothing to do with his series’ newly announced ending, but they are the reason production on Season 6 has stopped. The streaming giant claims plans were made months ago to end the series after its sixth season, as evidenced by the “very early” development of spinoff plans. 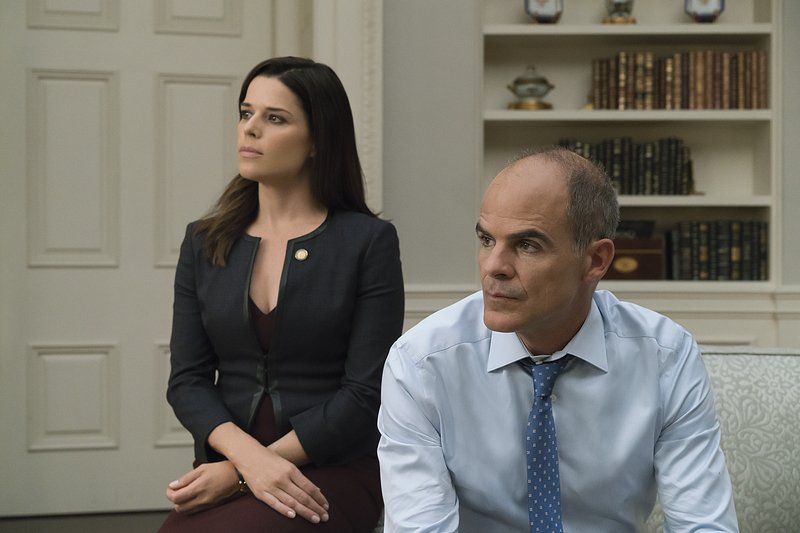 Variety reported Monday evening that Netflix was considering a series based around Doug Stamper, the Underwood family’s top aide played by Emmy nominee Michael Kelly, as well as “at least” two more spinoff ideas. While Kelly is undoubtedly a talent worthy of his own show, Stamper has gotten his due within the series. Barring a prequel route — which “Better Call Saul” makes look a lot easier to pull off than it is — Stamper’s recovery arc in Season 3 told us all we need to know about the character. Other spinoffs seem like a stretch, given few characters have surfaced over the years that compare to who’s already left or been killed off. Similarly, a “spinoff” about Claire wouldn’t be a spinoff: It would be a continuation. No matter how Season 6 ends — or who it focuses on — the ending of Season 5 emphasized who controls this story. Any continuation of that arc is a continuation of the original series, just without its original lead. That may not be the worst thing, but Claire’s continuation would inherit the pre-existing problems of the series so far. Netflix has a growing reputation for prolonging TV shows, but will it try to do so even if the face of that show is associated with sexual assault against a minor? Ever since the streaming service revived “Arrested Development,” the industry has a string of revivals and reboots. Netflix itself has prolonged “The Killing,” “Longmire,” “Gilmore Girls,” and more. But it’s also eager to push potential one-and-done shows beyond their limit. “American Vandal” was renewed for a second season despite the concerns of critics. “13 Reasons Why,” a big hit for the network, was picked up for Season 2, as well. Even the docu-series “Making a Murderer” is being pushed for more episodes. Netflix doesn’t need “House of Cards.” It doesn’t need to bleed its existing properties to death when it’s proven itself capable of producing exciting new series on a regular basis. “Mindhunter,” “Big Mouth,” and “GLOW” all debuted this year and all received strong reviews, buzz, and presumably high viewership, given they’ve all been picked up for second seasons. “House of Cards” is the remnant of a bygone era, a time when antiheroes ruled television and the idea of an American series lead talking to the camera was treated as revolutionary. Neither are held in high regard anymore, and the show itself is seeing a steady decline in esteem, as well. Rather than reshuffle the deck and spit out more of the same, it’s time for Netflix to look to the future. Frank doesn’t have to die, but “House of Cards” does.